This week I felt that I wanted to spread out and try something new, to delve into the deep recesses of my drinks cabinet to pull out an as yet neglected bottle. I spied past the whisky, gin and rum into the murkier depths amongst the schnapps, ouzo, zivania and the other unloved. It was here that I found Akvinta, a long forgotten Christmas present and "the Mediterranean's first premium vodka," also the only Croatian one I've heard of . This is a wonderfully cool looking vodka (all the expensive ones are aren't they?) with red, black and gold styling and an embedded bronze medallion. This voddy also has a lusciously bling filtration system, it's filtered 5 times through charcoal, marble, silver, gold and platinum... I don't honestly know about the filtrative properties of marble, silver, gold and platinum, but I'm sure they're fantastic. Akvinta markets itself as honest, above those users of sugar, preservatives and flavourings, comprising good honest Italian wheat and salt of the earth Croatian spring water. This means that Akvinta is not only organic, but also kosher if you need to worry about those things. 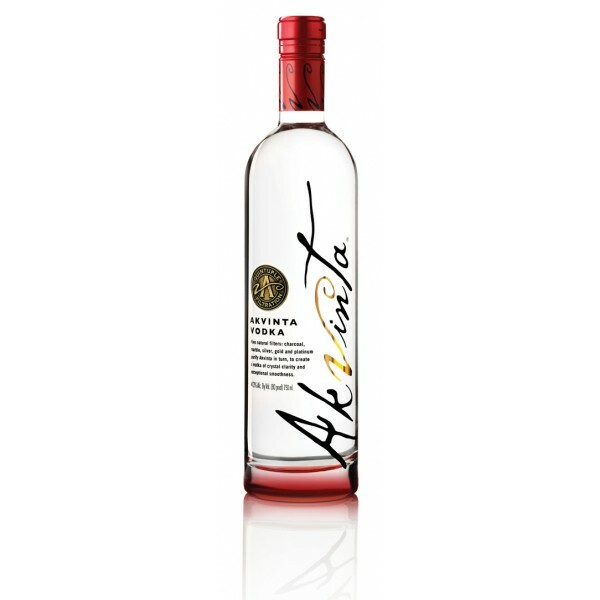 Now all this simplicity and honesty must be the way to go as this vodka has won countless awards: Gold medal for outstanding taste in The Vodka Masters, a Gold medal from the Beverage Tasting Institute in Chicago and perhaps greatest of all: GQ Magazine picked Akvinta as the “Best Super Premium Vodka”. Now, being that it's a straight vodka there is not much to say about it's flavour, what with vodka meant to be a tasteless base spirit 'n all. All there is do to do is to comment on the ferocity, there is none, nada, niet, this vodka has an almost absolute complete lack of burn. I have always been a drinker of Grey Goose and am a big fan of vodka, but this is quite simply the best I've had, it's dangerously easy to drink. That's all there is to say about this Mediterranean gem, unfortunately it's not available in supermarkets but can be bought from Mater of Malt for £29.45, it's a steal.